When Nellie Mooney was born, 100 years ago in Grey County, Ontario, it was a disappointment to her eldest brother Will. What a pity to have another girl! This made three girls in the Mooney family Lizzie and Hannah and now this one! It was true that they also had three boys, but you couldn’t have too many boys, Will thought. Boys were useful, and they grew up to be men who made decisions and held positions of responsibility. But you couldn’t expect very much of a girl. So when Will went in to see his mother, lying in the big four poster bed off the parlor, he told her it was too bad, but it wasn’t her fault. An Ontario farm in the 1880s was a very busy place, and in the Mooney family everyone was expected to share in the work, even the youngest. It was early to bed and early to rise, with little time for play. But it was discouraging work. The soil of Grey County was unproductive, light and gravelly and full of stones, and trying to grow crops on it was a losing battle. There seemed little reward for all their labour, and little prospect of any improvement. So it was no wonder that when tales reached Grey County of the wonderful West, with its vast, fertile, productive acres, people listened in wonder and longing. Surely the West was a new Land of Promise, a land flowing with milk and honey. Young Will Mooney was caught up in the enthusiasm. A neighbour had gone out to the Red River country and returned with glowing accounts of what he had seen thousands of acres of land without a bush or a stone, just waiting to be taken. There were strawberries so luscious and so plentiful that his oxen’s feet were red with them as he plowed the sod, and there were wild plums and cranberries spilling out on the ground with no one to pick them. As he spoke, young Will Mooney could see it all that great sea of grass that was the prairie, with the friendly blue sky above, and he could feel the thrill of being the first to plant the seed in that mellow black loam, enriched by a million years of rain and sun. He told his family what the neighbor had said, and he tried to inspire them with his own enthusiasm. In 1880, six year old Nellie Mooney and her two brothers and two sisters and her parents, John and Letitia Mooney, left the old home in Ontario and headed west. The journey was made first by wagon to Lake Superior, then by boat to Duluth, and from there to St. Boniface by train. When they arrived at St. Boniface, late one night, there was no place to stay, so they crossed the river in a rowboat, all seven of them, with their hand baggage. They found a hotel that would take them in, but every bed was filled so they had to spread out their bedding on the floor. Here, tired and sleepy, they lay down, but when the morning came and Mrs. Mooney saw the condition of the place they were in they made a very hasty exit. “She must have been greatly shaken at what she saw,” her daughter recalls, “for she imparted to each one of us a great desire to get out. I think it was probably her first sight of old and unashamed dirt.” The bill for the night’s lodging was $15. The next day found the family making a temporary home on the camping ground at the junction of the Red and Assiniboine. Here they were assisted and made welcome by other settlers who had come out previously, and before three days had gone by, their tent had a floor, a stove, a homemade table, and bunk beds. A butcher’s cart came round the settlement twice a week selling meat at exorbitant prices, and an enterprising dairy man led two cows through the encampment twice a day, selling milk at 30 cents a quart, cafeteria style. Soon Will arrived to meet them, and what a great day that was! They listened long into the night as he told them of his experiences through the winter, of the frost that split the trees wide open like pistol shots, and the wolves that circled and howled and snapped their jaws around his tent. But most of all they wanted to hear about the land that he had claimed for them, section 20, township 7, range 16. What a thrill of joy those words brought! Let the blizzards rage! Let the wolves howl! They had reached the Red River, they had claimed their land, and the world was theirs! And now oxen had to be bought, and wagons, and it was decided that Will and his father would drive the 130 miles to their land and build a house with the logs that Will had cut; the rest of the family would remain in Winnipeg until September when Will and his father would return for them. They found a house to stay in, five miles from Winnipeg, in the area that is now St. James. Beside them was the mansion of Sir Donald A. Smith, and Nellie and her sister Hannah loved to watch the fashionable carriages turning in at the great gate, with beautifully dressed people stepping out. They seemed like people from another world, and Nellie and Hannah would weave all kinds of romantic stories around them. Sometimes there would be a ball at the great house, and then the girls would lean out of their bedroom window and listen to the violins playing the Blue Danube, and watch with delight as the shadowy figures of the dancers waltzed past the windows. When September came, they began to watch along the Portage road. Every time they saw an ox cart approaching their hearts beat with anticipation, and finally one day Nellie spied the familiar team of oxen and the beloved figures of her Father and brother Will. With their arrival, preparations began for the last lap of the journey. Supplies were bought in Winnipeg. They had two wagon loads of settlers’ effects, drawn by two teams of oxen. At High Bluff they bought a pony and Red River cart which they thought would lighten the load for the oxen and also be a great help in getting about when they got settled. Moving on a few miles every day, they were able to replenish their supplies at Portage la Prairie at the Hudson Bay Store. The journey to the Souris River took two weeks, and Mrs. Mooney walked all the way. She walked to lighten the load, and also because she felt that was the only way she could keep her eye on everything, which included, besides the oxen and their loads and the pony and cart, two small children and a little dog that kept getting lost. It must have been a long two weeks to the adults, but for Nellie Mooney, age six going on seven, it was a time of great adventure. Finally the day came when they left the main road and turned east on the Yellow Quill trail toward the Assiniboine River. The muddy roads with their terrors were past now, and they were crossing a high sandy country with hills pricked with little evergreen trees. They camped overnight at the edge of the Assiniboine, and in the early dawn they forded the river, just above its junction with the Souris. Thus the last barrier was crossed, and about noon they reached the pleasant spot that Will had chosen for them, close to where Wawanesa and Treesbank are situated today. Away to the south, hazy in the distance, stood the Tiger Hills, and to the northwest the Brandon Hills, dark and blue and mysterious. A highlight of Nellie McClung’s early life was her first visit to Brandon in 1885, when she was 12 years old. She and her mother traveled the 35 miles riding on top of a load of wheat. It was December and they often had to get down and run behind the sleigh to keep warm. They left home early in the morning and stopped at the Black Creek Stopping Place for dinner, entering Brandon from the southeast in the late afternoon. A building that impressed Nellie was the Court House, a yellow brick structure, the largest she had ever seen. In the town new wooden buildings were scattered around in an irregular fashion, like blocks that a child had thrown down in a hurry, and there was a street of stores and other business places with lights shining through their windows. The smell was of new lumber, shingles, and tar paper. Here was life and color and movement in this great swarming city! They stayed two nights at a hotel on Pacific Avenue called The Farmers’ Home, and Nellie was in a state of blissful excitement. But the morning that they left to go home, as they once again passed the Court House, there was a dark shadow over her elation. She had learned that there was a man in a cell there who was to be hanged the day after Christmas. He had come home drunk and shot his wife. Now he told the judge that he didn’t remember doing it, and he was filled with remorse, but his wife was dead, and he was to die too. Nellie thought about the two deaths, and about the agony that was being experienced behind the yellow brick wall. She thought of the liquor that had caused it all, and she felt that this man was not alone in his guilt, that somehow people everywhere were to blame, and that there must be some way to prevent tragedies such as this, some part that she could play in bringing about a world where things like this would not happen ... These thoughts were the first stirrings of the social conscience that was to become a driving force in her life. In the next few years she quickly made up for her late start in education, and when she was 16 she passed examinations that made her eligible to attend Normal School in Winnipeg to obtain a second class teaching certificate. What a flurry of activity there was in the family as they prepared for her departure, each one contributing something in the way of finances or clothing. When the great day finally arrived, she had to leave Glenboro at five o’clock in the morning in order to travel the 130 miles to Winnipeg by train and reach her destination by evening. Her world was expanding very rapidly now, as new knowledge, new skills, and new ideas kept crowding into her eager mind. When she started teaching it was first in a little rural school near Manitou, and then in Manitou itself. It was here that she met the McClung family. Mr. McClung was the Methodist minister and his wife was a lovely and talented woman whom Nellie greatly admired. This woman attended political meetings, an almost unheard of thing for a woman in those days, and she was not afraid to get up and express her opinions. She even went about campaigning for votes for women, and she encouraged Nellie to do the same. This Nellie eagerly did another gate seemed to be opening to her. She envisioned the next generation of women, educated, liberated, enfranchised, ... then surely in one generation these women would heal the ills of mankind and usher in a brave new world. But there was an even stronger bond than politics that drew her to the McClung family, and that was their eldest son, Wesley McClung. He worked in the local drug store when she first knew him, and later attended college in Toronto and then took up the drugstore business in Manitou. He and Nellie were married in the Presbyterian Church in Wawanesa in August 1896, at a quarter to eight in the morning. They were Methodists, but they used the Presbyterian Church because it was bigger and could accommodate the guests. Following their marriage they lived in Manitou for fifteen years, busy happy years for the young Nellie McClung. Four of her five children were born there, and it was there that she began her writing career. Her first book, Sowing Seeds in Danny, was published in 1908, and became the best seller of the year in Canada, eventually running into 17 editions. It was quickly followed by The Second Chance which was equally popular. These books were more than entertaining stories about the Watson family, for beneath the humour and the romance and the sentiment there is a deep insight into social conditions and human needs, and a strong plea for justice and equality for all. As she raised her own family of five, Nellie McClung became more concerned than ever about the role of women in the world, and the influence that they might exert for good if their voice could be heard. She was concerned about the many women she had known who were overworked, overburdened, and inarticulate. She had seen so many of them crushed by the isolation and solitude of the prairie, trapped by yearly pregnancies, bearing children they could not afford in terms of money or of health. In those days when there was no electricity to lighten the housewife’s load, when water had to be carried everlastingly from well to house, the mortality rate among young women was high. Our cemeteries bear grim testimony to this fact. Nellie felt a deep compassion for these women, and she became their champion, fighting for them with all her wit and courage and determination and talent. No nation ever rises higher than its women, she believed, and she was convinced that women, freed, organized, and made effective, could abolish the evils of drunkenness, child labour, slum conditions, and hunger, and lead the nation to a better life. The women’s suffrage movement was just getting underway in Manitoba, and Nellie McClung soon found herself in the forefront. Sir Rodmond Roblin was premier at that time, confident and self satisfied, and completely convinced that women should be kept “in their place.” He and Nellie were born adversaries. She never resorted to the strident antics of her British and American sisters; she was always a lady. But when delegations and petitions failed, she and her fellow suffragettes came up with the ultimate weapon, ridicule. They set a trap for Sir Rodmond, and he walked right into it. On 27 January 1914, a delegation of women arrived at the Legislative Assembly to present their case. The women made their plea for the vote, and Sir Rodmond, patronizing and flowery, gave them the put down that they expected. The women made sure that his speech was fully reported in the papers, and the following evening they presented a play in the Walker theatre. It was entitled “The Women’s Parliament;’ and the stage was a replica of the Legislative Assembly made up entirely of women. As the play progressed, a delegation of men arrived, humbly asking to be granted the right to vote. They also asked for joint guardianship of their children, and the right to their own earnings. Nellie McClung, playing the role of Sir Rodmond, parodied his speech of the previous day, using the same gestures and the same patronizing manner. The play was a huge success and ran for two nights in Winnipeg and one night in Brandon. The proceeds financed the women’s campaign, and was influential in turning the tide of public opinion in favour of the vote for women. In 1914 the McClungs moved to Calgary, and Nellie was a member of the Alberta Legislature from 1921 to 1926. 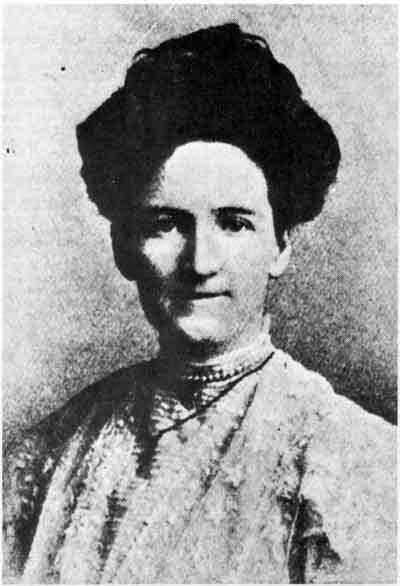 She was one of a group of five women who helped get women recognized as persons under the law, through the abolition of an old ruling of 1876. This took some time, and lengthy court proceedings, and it was not until 1929 that their efforts succeeded and women were legally accepted as persons. Nellie McClung was the first woman to serve on the Board of Governors of the Canadian Broadcasting Corporation, a position which she held for six years. Always a devoted church member, she was the sole delegate from the Methodist Church of Canada to Ecumenical Conference in London, England, in 1921. The world was drifting toward war when Nellie served as a Canadian representative to the League of Nations in 1938, and she felt a great sense of helplessness at the sterility of the League which could not avert this new world conflict. The brave new world which she had hoped to build seemed to be moving farther and farther away. With maturity came the realization that the world could not, after all, be remade in a generation. She had dreamed of a Canada influenced for good by the fervor of its emancipated women. But she had to admit that this had not happened. “Women don’t have enough nerve to stand up and be counted;’ she said. ”They are too afraid of being considered queer,... But she swallowed her disappointment and focused her hopes on the young. Surely they would catch something of the vision that she had had, and work toward its fulfillment. Nellie McClung died on 1 September 1951.